Well hello there again, and Happy Halloween! 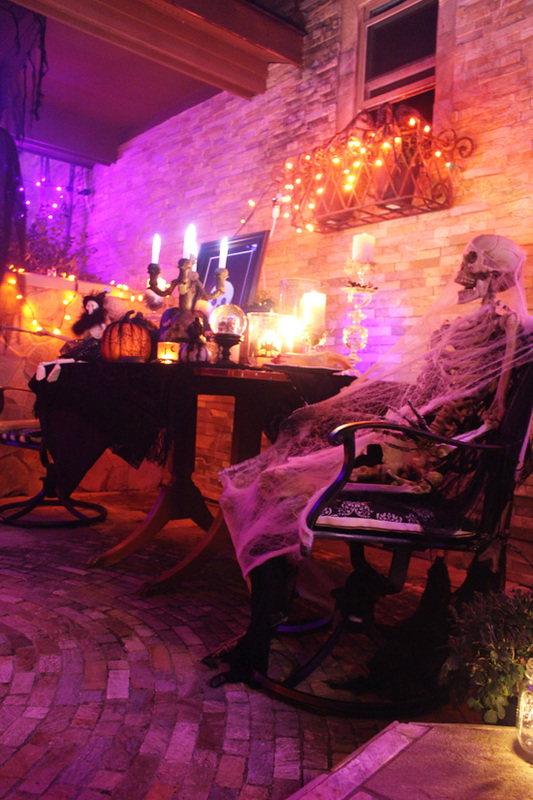 Today is the perfect day to share my outdoor Halloween décor all set up for Halloween night. 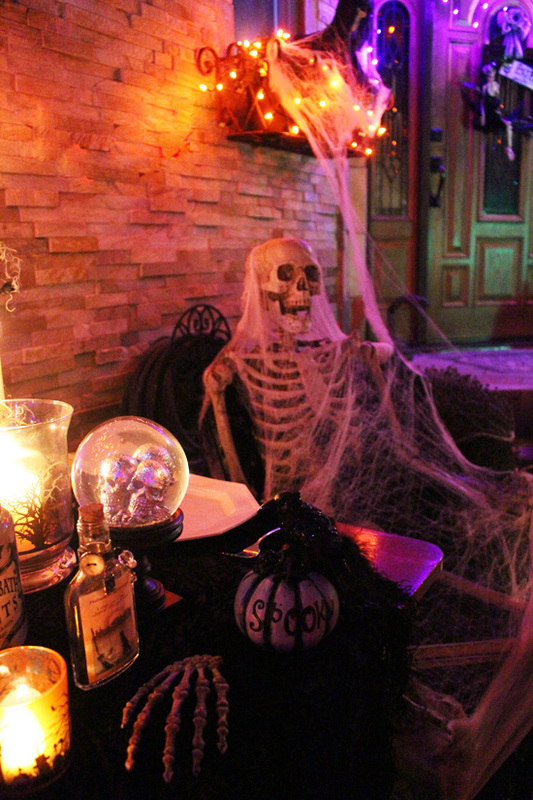 I know this kind of post isn’t for everyone, but decorating for Halloween really brings out the kid in us and we have a blast going all out for the occasion. 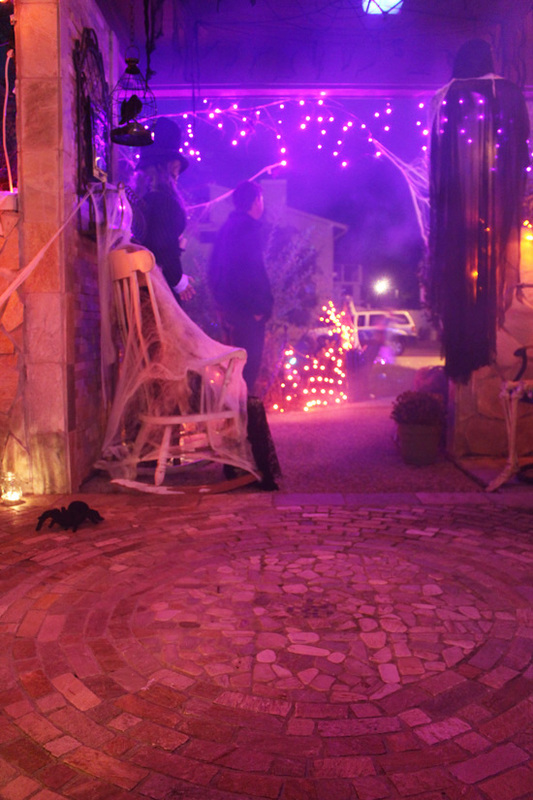 Last year I shared my outdoor Halloween Tour, which you can see here for the full effect. 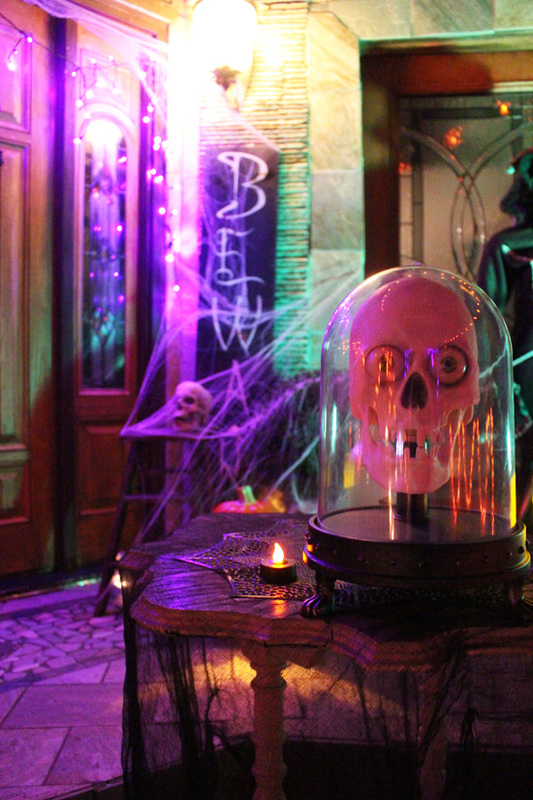 But then on Halloween night, we really get into it, so after most of the kiddos had come and gone, I took several photos to share with you. We found him at Target and had a good laugh having him repeat all kinds of foolishness. 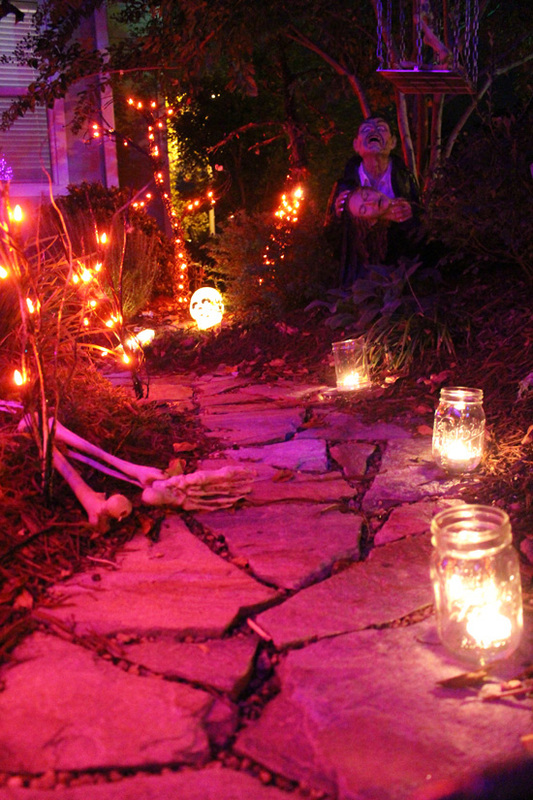 And of course I am waiting there to reward them a handful of candy for their courageous effort. Some of the photos are a bit hazy due to the fog. 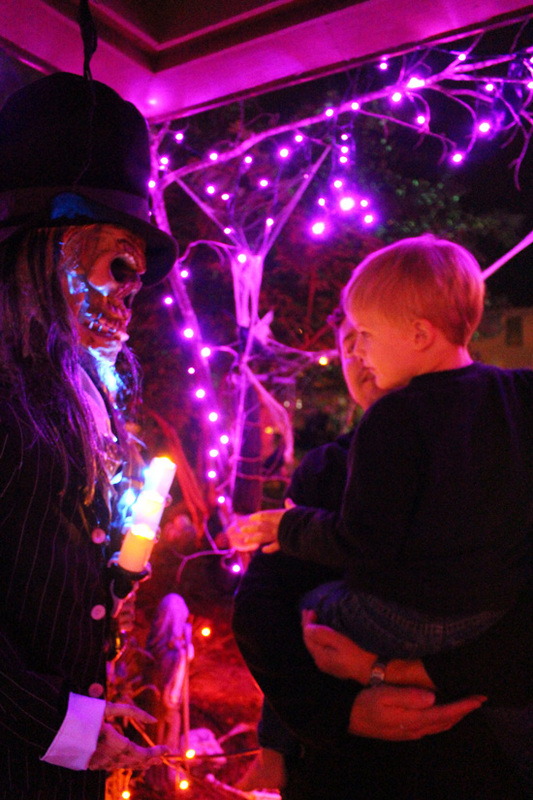 It’s fun to see three year olds march right past all the ghouls to get their candy while some ten year olds won’t even attempt to come up the drive. 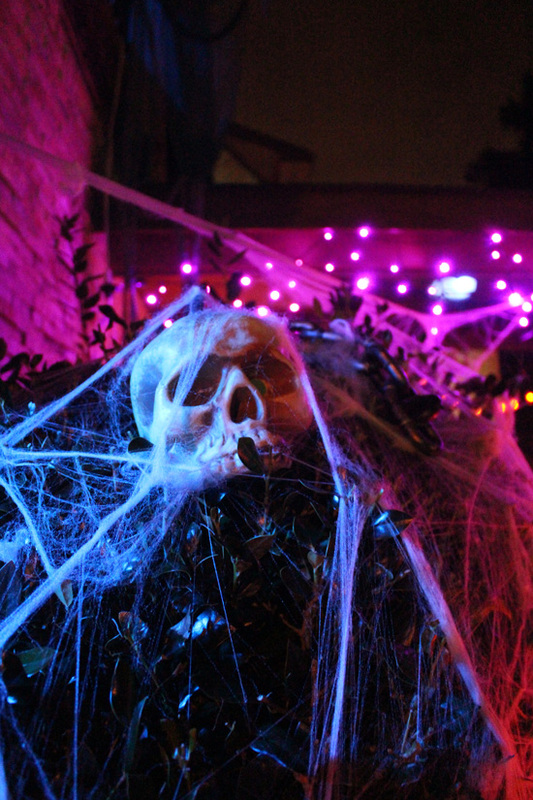 With the fog, eerie music, and lights flashing in the house, it is quite a scene. And it’s difficult to capture in photos. No fear. Yet. Maybe when he’s ten. We’ve added a few things like our new sign, and of course we will bring out more for tonight. I better go get to work! 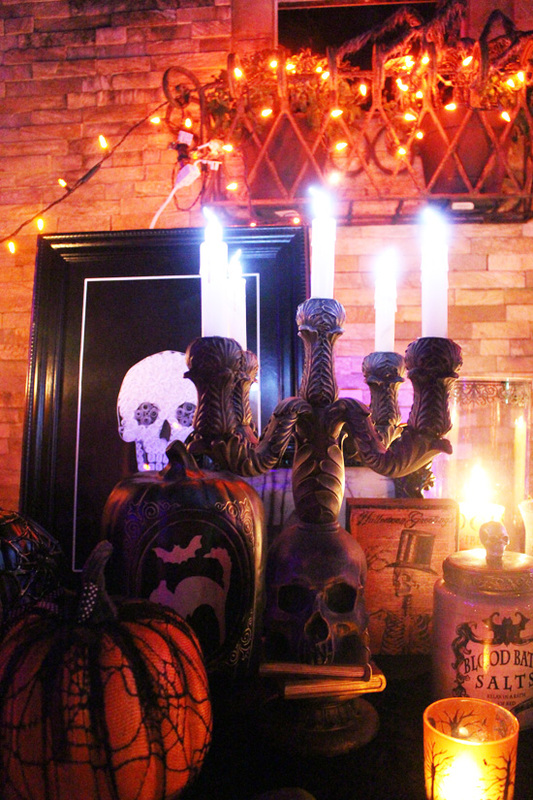 Have a safe and Happy Halloween, my Friends! LOVE the new sign – so fun. You guys do such an amazing job with this. 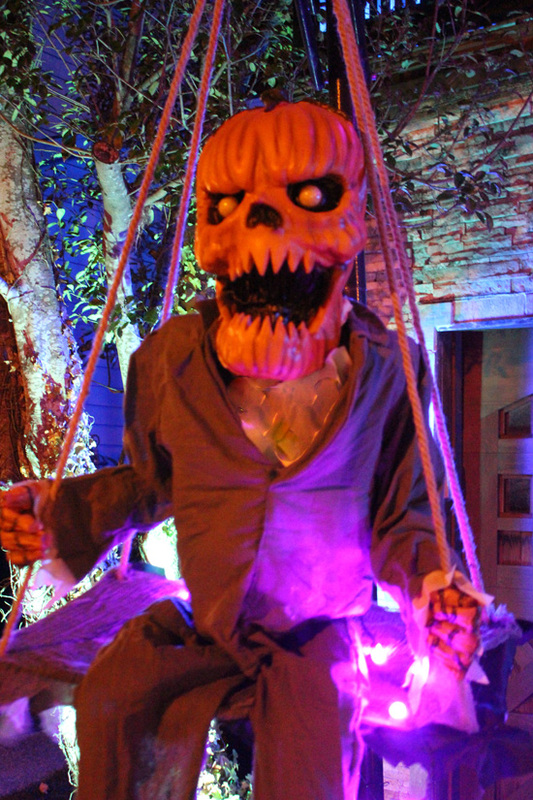 My boys would love to come trick or treating there – wish I could bring them! Happy Halloween! 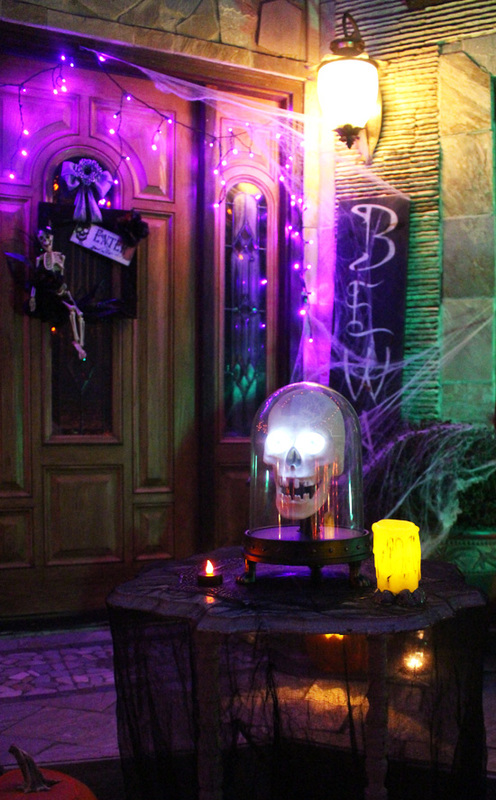 You most definitely have the best spooky house on the block. Happy Halloween. Fantastic! 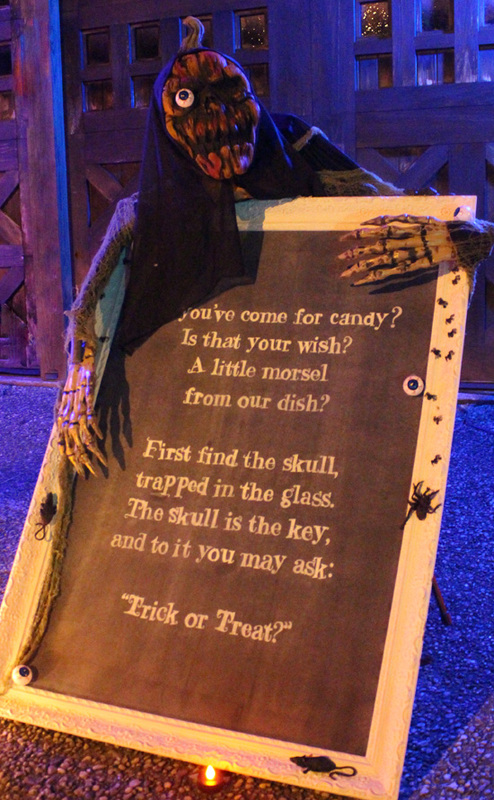 Thanks for the spooky tour…Have fun tonight! Thanks so much, Heather! It was a fun night! Christy, looks like y’all are going to have so much fun! We live way out in the country, ( 5 miles from the nearest one red light town..) no one has ever came up our dirt road to trick or treat,. I do miss that part of living in a city. Enjoy the evening! Thank you, Ann! My in-laws have the same issue. 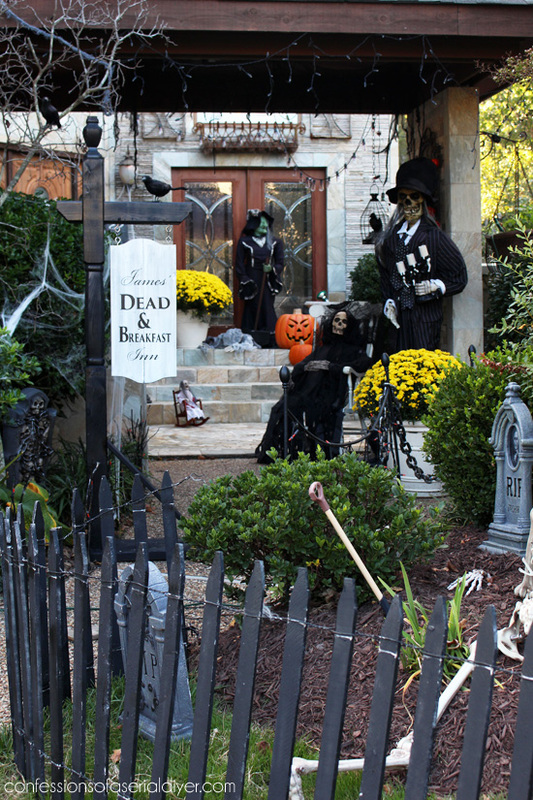 They live at the end of a very long road, so no trick-or-treaters! Wow!! I want to be your neighbor!!! That is so special that you do all that work for the kids. Of course, I know you all enjoy it too, but how great to put it all together. You do a fantastic setup and I know your little visitors love it. 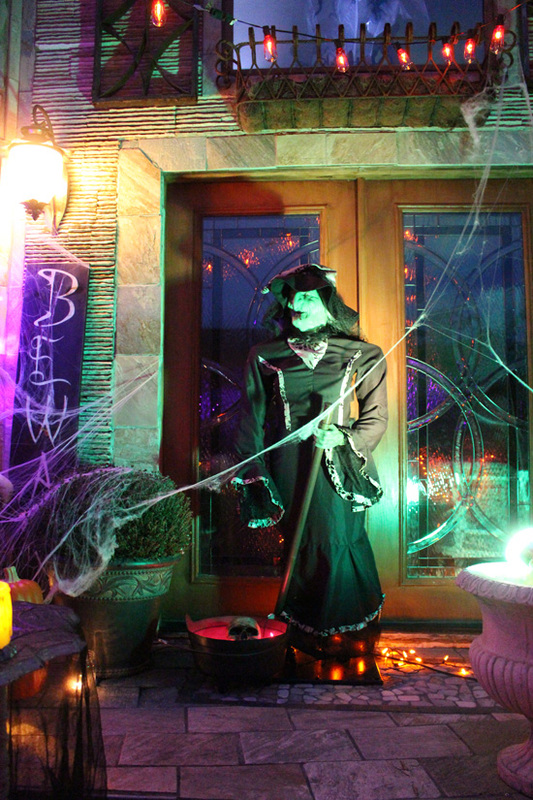 Have a safe and happy Halloween. Boy, you guys really pull out all the stops! 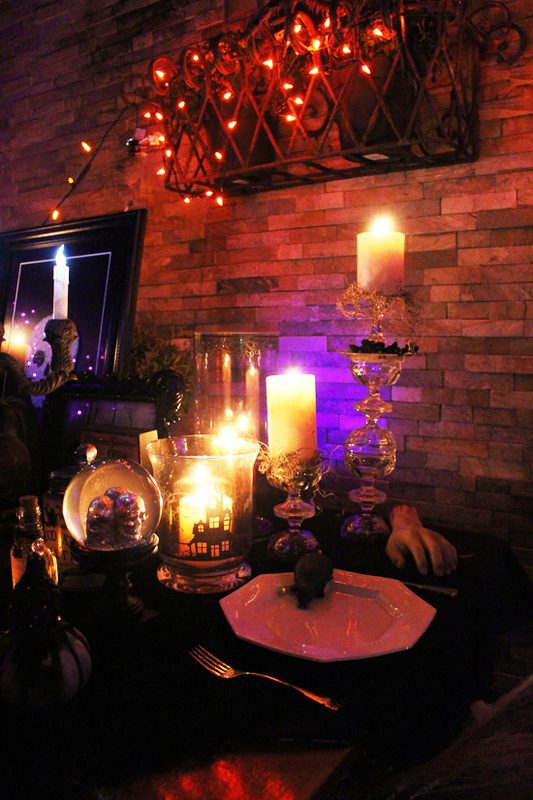 Looks great and spooky! 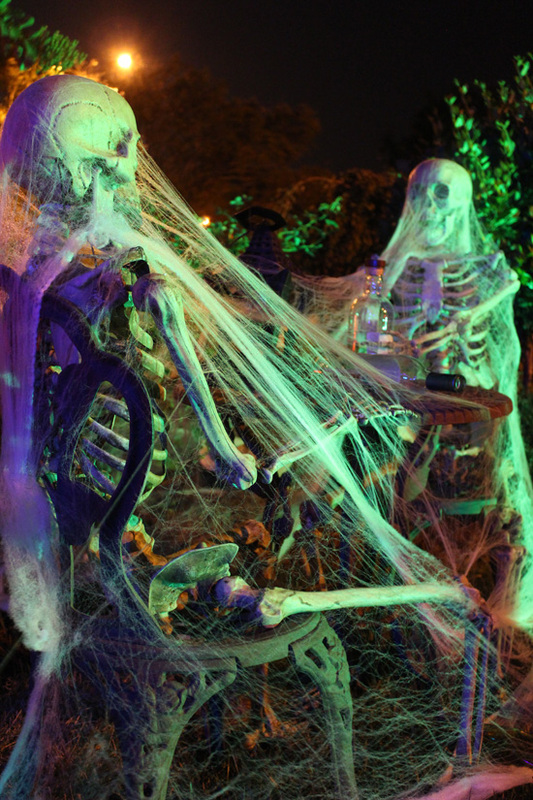 I had my annual Halloween party last week for my grandkids. It wasn’t as spooky, but each year I had a little more. We had a costume contest this year. I had a bin with costumes and they got to dress up in whatever they wanted or make up their own. 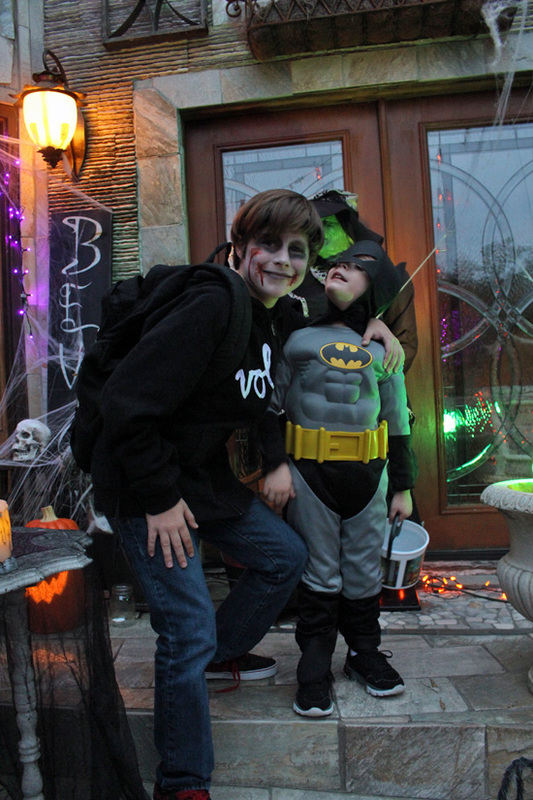 They loved it, we will definitely be doing that again and I will add more things to the costume bin for next year. 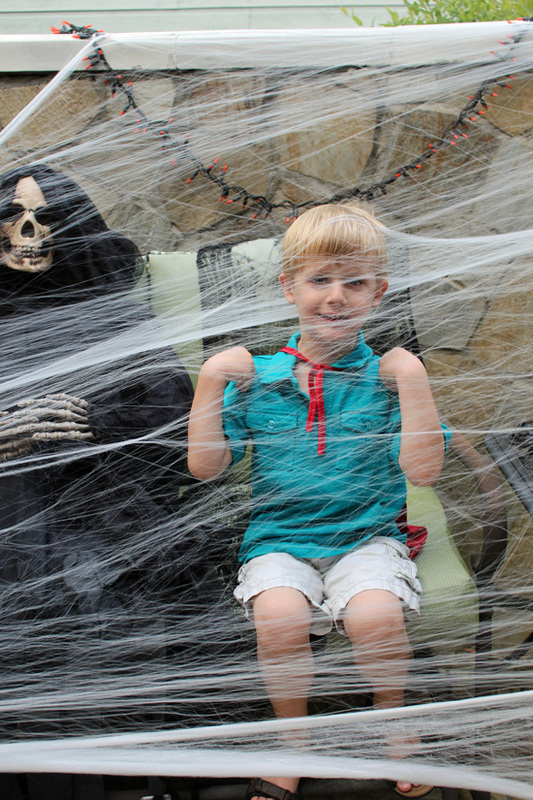 Have a great time with your little trick or treaters! Oh, by the way I was a she-devil. Wow you must be the favorite grandma! 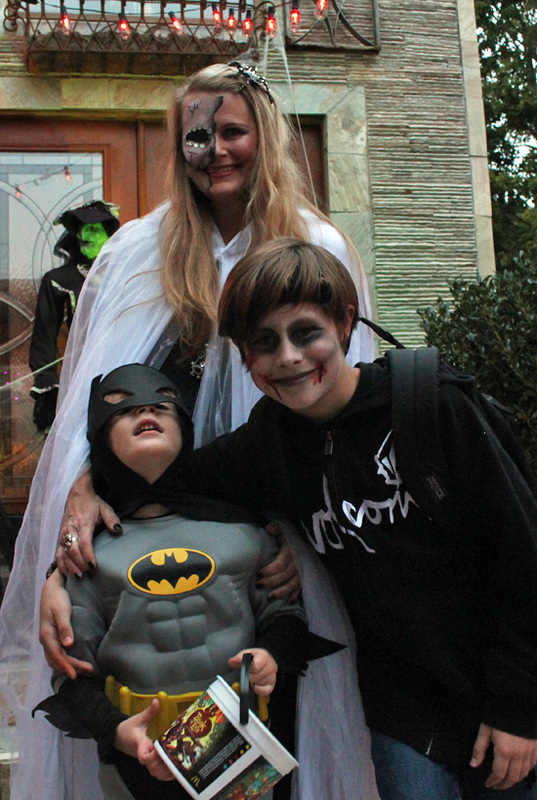 I love the idea of providing the costumes, and you can find them so cheap after Halloween…great idea! I was a pirate that had been stabbed through the head, not as gruesome as it sounds ha ha. This looks like a fun place to visit. , Happy Halloween . 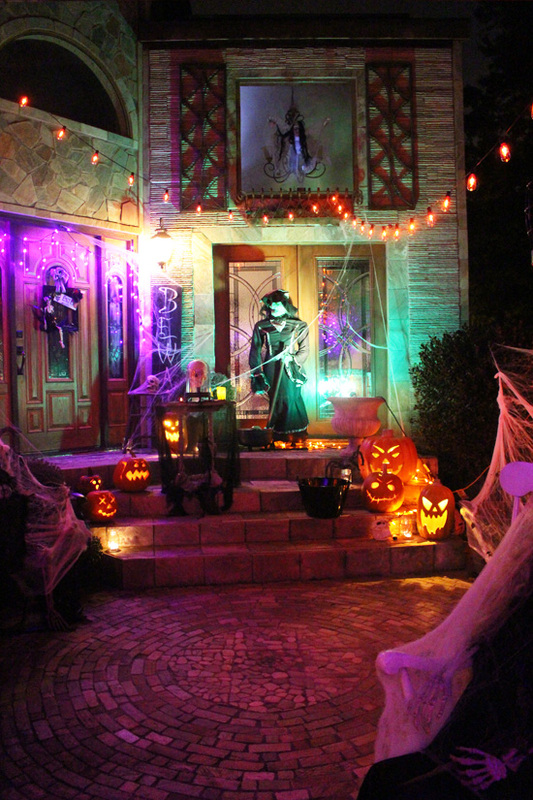 Such a fabulous Halloween House – would be so fun visit! 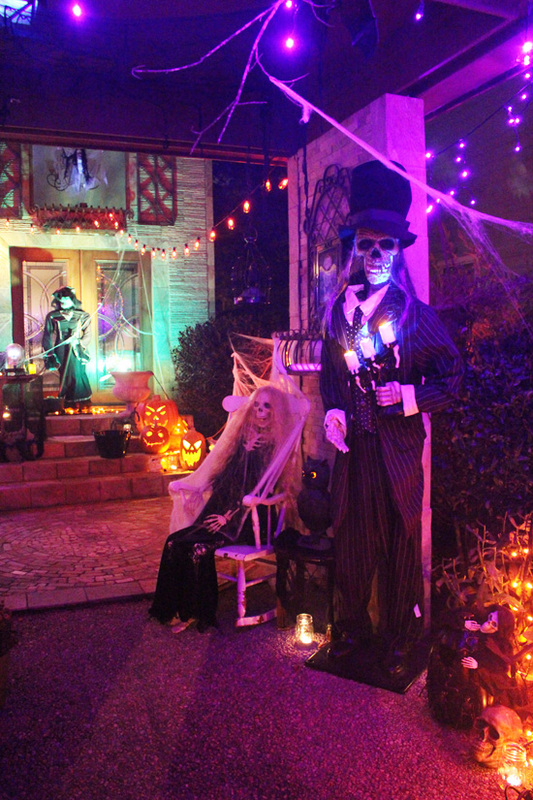 I thought of you last week when I came across a “Halloween House” in our community. Like you, it took them weeks to set up but wowsers! Do you guys get media coverage in your community? I’m hoping the one here at least made our local newspaper. 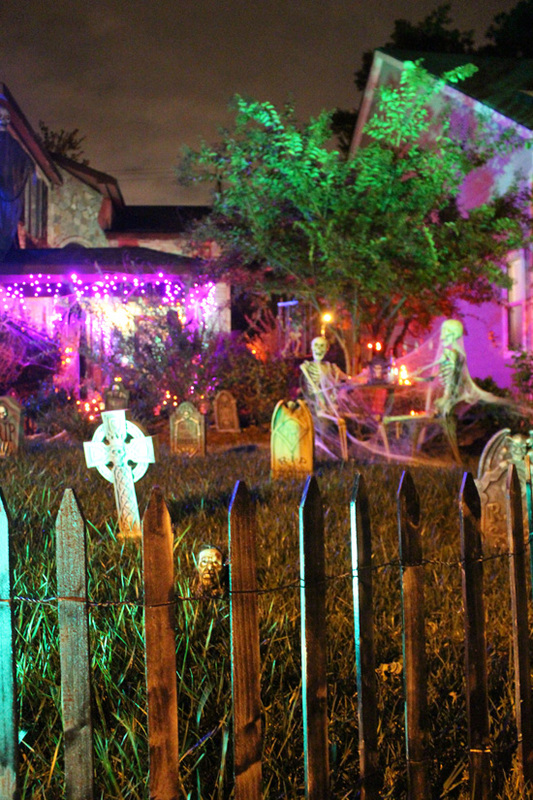 Very impressive decorations. I enjoyed all the cool pictures. Thanks for sharing!